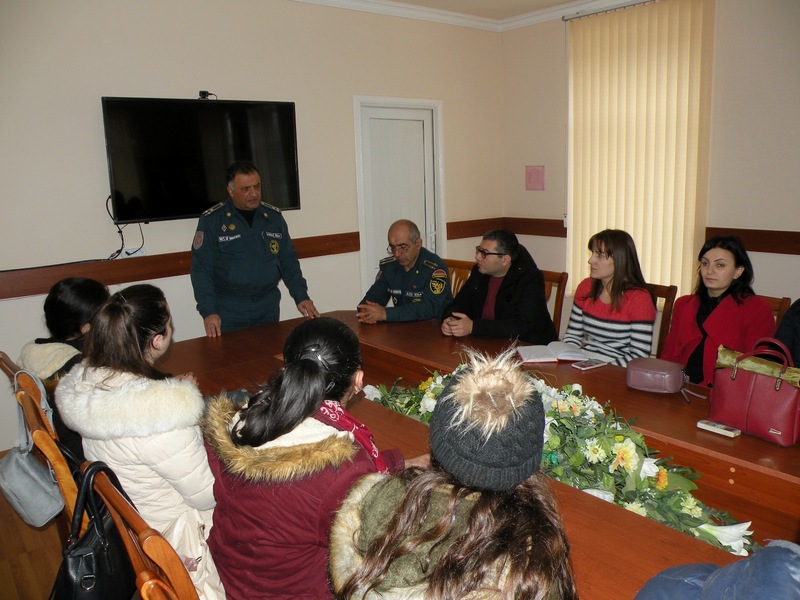 On December 7th, 2018, YSU Ijevan branch hosted a meeting with Vaghinak Hovsepyan, head of Tavush Regional Emergency Department, deputy head of Crisis Management, and Victor Abazyan, lieutenant colonel, deputy head of Population Protection Department. The meeting was attended by representatives of YSUIB administrative staff, students of different specializations. 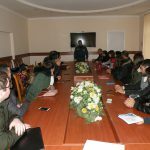 The purpose of the meeting was, on the occasion of 30th anniversary of Spitak earthquake; provide students with details about Spitak earthquake (earthquake intensity, duration, and serious consequences, human and material losses) and especially the rules and effective means of earthquake protection. 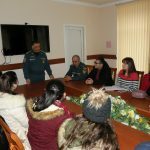 During the meeting, it was particularly mentioned the main and maximum length of the earthquake, the duration of the tremors, the actions carried out during that period. The safety instructions of earthquake protection in other countries were presented, rules of behavior during the earthquake outside, in a high-rise building, in the car. 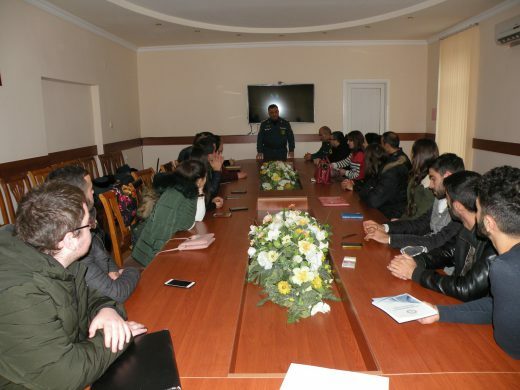 In other words, the meeting participants learned what to do during and after the earthquake, to minimize material, human and moral-psychological losses.